Plastic injection molding is all about producing specific and exact pieces at a reasonable price. Additionally, these parts should have the capability of being mass-produced consistently with quality. Key design elements include wall thickness, rib design, boss design, corner transitions, weld lines, gate placement, and properly placed vents. The first step from bringing a design to reality is the mold. Just as important of a tool as any piece of equipment, creating the right mold takes time, patience, and an attention to detail. 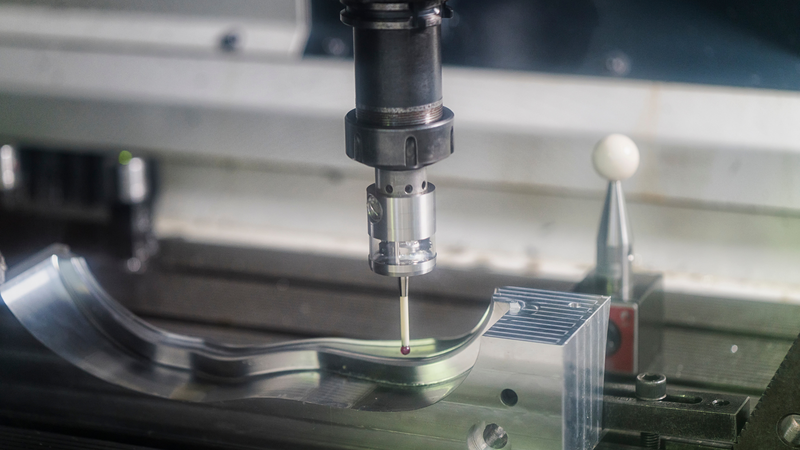 If done properly, a strong mold design will lead to high-volume quality that can be used for years to come. Every design is different, so picking the right resin for the job can be tricky. Do you want an amorphous resin or semi-crystalline? How about a thermoplastic or a thermosetting plastic? Do you need additives to impart a certain characteristic to your part? Knowing the questions to ask will help you derive the right answer, and this is certainly a case of doing research upfront to avoid a costly mistake down the line. The last step is to actually manufacture the pieces. This starts with choosing the right injection machine for the job, rolling the presses, and mastering automation. From running test runs to repeat runs, the system should work flawlessly, and if possible, with as little interruption as possible. Once in the process of being manufactured, your job is to monitor and manage the workflows and processes. That’s it! Now you know the basics. 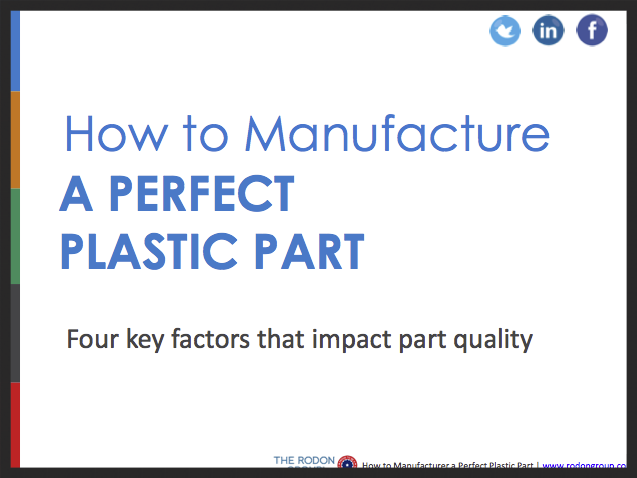 If you want more in depth information, download How to Manufacture A Perfect Plastic Part from The Rodon Group.